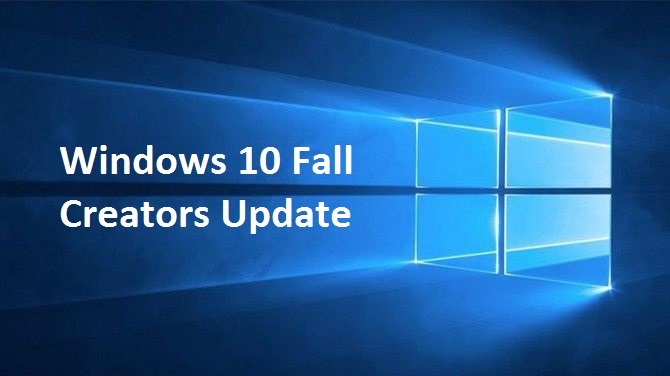 As promised, Windows 10 Fall Creators Update is start rolling out to Windows 10 PCs across the world in phases with all the great new features available in the update. This is the fourth major release rolling out to Windows 10 users. Windows 10 Fall Creators Update brings lot of new awesome and creative features – from bringing mixed reality and 3D to the masses, to faster broadcasting for gaming, to turning photos and videos into real memories, and much more. Here the details of new features and changelog for Windows 10 Fall Creators Update. With Windows Mixed Reality, you can escape to the most immersive experiences – touring top travel destinations, getting inside the most exciting games, attending the most popular events, even travelling across time and space – right in your own home, with you at the center of everything. The reimagined Photos app now gives you the ability to add filters, text, 3D effects – and soon full 3D objects – and even digital ink to your photos and video clips for great storytelling complete with soundtracks, themes, and transitions. To help you get started, select the create button and two or more photos or videos and the Photos app will automatically bring together your memories into a video. Keep this cut to enjoy and share, remix it with just the click of a button, or edit it yourself to get it just right. To start creating your own personal story, go to the Photos app – free with Windows 10. With Mixed Reality Viewer, you can see 3D objects – either from the Remix3D.com community or your own creation from Paint 3D – mixed into your actual surroundings through your PC’s camera for powerful ways to bring your story to life. Start creating in Paint 3D and select Mixed Reality to view your creation in your real world or go straight to the Mixed Reality Viewer app, free with the Windows 10 Fall Creators Update, to get started. People-first Sharing. Sharing is as easy as dragging a file directly onto the pinned contacts in your taskbar. Or share directly via the ‘Share’ picker by choosing from the recommended list of your top people. See emoji from pinned contacts. Emoji from your pinned contacts are able to appear and animate right from the taskbar – an extra level of emotional connection and expression between you and the key people in your life. Voice-activated Power Commands. In addition to exciting voice-activated features like reaching Cortana above the lock screen, you can now ask Cortana to shut down, restart, or sleep your PC. Pin your favorite websites to taskbar. Pinned sites are back! Pin a website to the taskbar from Microsoft Edge to have the icon show up in the taskbar for instant access. To get started, go to menu, select “Pin this page to the taskbar,” and the site icon appears on your Windows taskbar! Full screen mode (F11) in Microsoft Edge. Simply press F11 or choose the new Full Screen icon within the Settings menu (three dots) to take your websites full-screen. You can exit Full Screen view by pressing F11 again, or by clicking the Restore icon in the top-right corner. You may have also noticed a new Microsoft Store logo on your Windows 10 device. We’ve unified the Microsoft Store on both Windows 10 and Xbox for a simpler shopping experience. Microsoft Store – whether shopping in a physical store, online, or through your Xbox or Windows 10 device – is the best destination to seamlessly discover, experience, download and buy the latest products and content from Microsoft and its partners, including hardware, games, entertainment, apps, and more. Ransomware protections. To better protect against ransomware attacks, we’re introducing Windows Defender Exploit Guard that helps protect files from unauthorized changes by nefarious applications and your applications from unknown exploits. Additionally, Windows Defender Antivirus now has specific safeguards in place, along with default enhanced coverage that is delivered instantly via the cloud protection service. These and other security technologies protect against persistent ransomware campaigns like Cerber, Locky, and Spora, as well as global outbreaks like WannaCry, and Petya. Continue on PC. You know those websites, searches and articles that you pull up on your iPhone or Android phone? Now you can forward them to instantly open on your PC, so you can continue what you’re doing – researching that project, shopping for those shoes, finishing that article – with all the benefits of the bigger screen. Microsoft Launcher. With just a quick swipe-to-the-right, Microsoft Launcher for Android offers a tailored feed of your important events, top news, recent activities, favorite people and most frequently used apps. And, Microsoft Launcher has been designed to make it easy for you to seamlessly continue what you’re working on – whether it’s photos, documents and more—on your PC. OneDrive Files On-Demand. When you save your files in OneDrive, now you can access them just like any other file on your PC without filling up your disk space. Easily tell which files are available online only or offline. Online-only files download on demand with a double-click, and you can make them online only again to free up space. Or you can select files to always be available offline. Click here to learn more about OneDrive Files On-Demand and how to enable it. Find My Pen. Windows can now tell you where you were when you last inked on your computer, which makes finding a lost digital pen a lot easier. Pen as PowerPoint clicker. Through the Bluetooth connection to your PC, your pen becomes a PowerPoint clicker. Present like a pro –advance your slides just by clicking the button on the back of the pen. PDF annotations and form filling. Now you can fill in PDF-based forms within Microsoft Edge, save them and print them. And with the annotations capability extended to PDFs, you can ink on PDFs, highlight text and erase your annotations. Better PDF viewing. When PDF docs show up sideways, you can now rotate them and even adjust file layout for easier reading. Currency Converter. In response to one of our top customer requests, there’s now a Currency Converter included in the native Calculator; even works offline for when you’re traveling internationally and want to avoid connection charges. Recover PIN and password from lock screen. No more getting locked out of your device. If you’re using an AADP or MSA account and you get stuck at login, you can now reset your password and PIN straight from the lock screen after verifying your account identity. Eye Control. Making Windows more accessible particularly to people with disabilities, Eye Control beta lets you operate an on-screen mouse, keyboard, and text-to-speech experience using just your eyes; requires compatible eye tracker, like the Tobii Eye Tracker 4C. Narrator (screen reader) intelligence. We added a feature to our screen reader to generate image descriptions using Microsoft Cognitive Services for images that lack alternative text. Dictation: We added support to Dictate text in Windows using modern speech recognition services, which uses cloud-based intelligence. Choose your performance/battery balance. New Performance/Power slider* lets you set the right balance between battery-life longevity and system performance and responsiveness. Optimize for battery life on a long flight; go with performance when you’re gaming or photo editing at home. Game Mode. You can now easily toggle Game Mode for the game you’re in, directly from the Game bar. Mixer: Mixer broadcasting will load and start faster than before. Also, when broadcasting to Mixer, you can now determine audio stream sources. New help options: We’ve added a new “Xbox Networking” section in Settings under Gaming, to help PC gamers identify and ensure network connection quality while using voice chat and playing multiplayer games. GPU in Task manager. Windows Task Manager now displays information about the graphics hardware and performance of your system. Check for updates on the Windows Update settings page. In the Search tab, type “Settings”. Simply click Check for updates. If your device is part of the first phase of roll out, the feature update may begin downloading immediately to PC. Once finished download, Windows will prompted to require complete install the update. Note: If the update doesn’t begin downloading after click “Check for Updates” on the Windows Update page, or a message stating “Your device is up to date”. Then, Windows 10 user need wait until the Fall Creators Update automatically update. Head to Software Download Site. Double-click the exe file to launch the tool, and then click “Update Now” button. If your device is compatible, click the Next button to begin the upgrade. Once done, click the “Restart Now” button to start the installation. Download and run the Media Creation Tool on the Software Download Site to perform a clean install or reinstall of Windows 10.